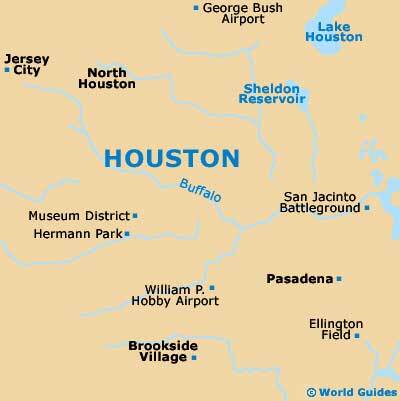 The fourth-biggest city in the United States and the biggest of all the cities in Texas, although not the state capital, Houston is close to Pasadena and roughly an hour's drive from the coastline, which is connected by the Gulf Freeway (Interstate I-45). 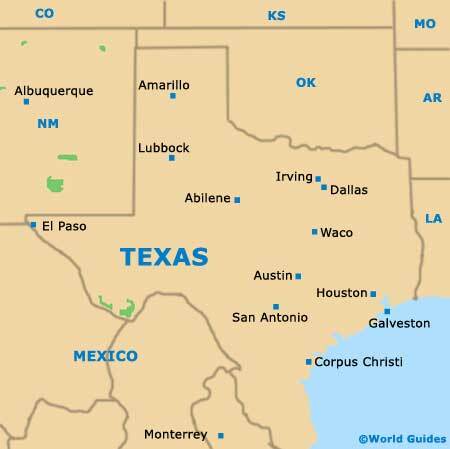 A number of sizeable national parks and reserves are to be found within the suburbs of the city and serve as useful points of reference, such as the Sam Houston National Forest to the north and the Brazoria National Wildlife Refuge to the south. There is certainly plenty to occupy tourists visiting Houston, with many finding themselves drawn to the Museum District. This area is at its best around the northern side of Hermann Park, where the cultural attractions are in good supply. 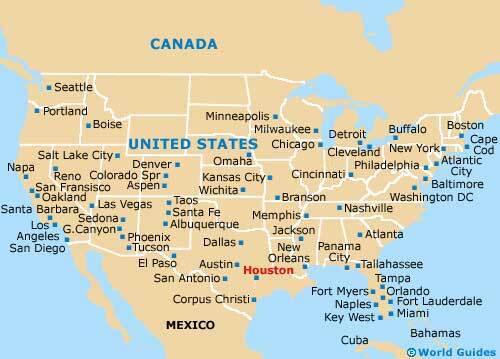 Those with a hire car will find that driving around Houston is generally quite straightforward and convenient - in theory, although the traffic can be extremely congested at times and some of the worst in the whole of America. Therefore, planning your route carefully and avoiding rush hours is sensible. Maps are certainly useful to carry with you, since the names of the streets can often be somewhat confusing - many have several different names for the same stretch of road. Also of note and unlike most major cities, the majority of the main roads in Houston are not annotated with north, south, east or west, meaning that maps will need to be relied upon, or a good sat-navigation system for drivers. Westmeimer Road is a prominent downtown thoroughfare and runs in an east to west direction, connecting the Montrose neighborhood and heading westward to the Loop Freeway (Interstate I-610), as well as eastwards to Elgin Street, Midtown and the Eastex Freeway. In downtown Houston, Main Street is an especially busy road and links to the southerly Rice University campus and the suburb of Independence Heights, to the far north.